We understand that travel can sometimes be a nightmare (especially during construction season). That’s why it’s extra important to consider the location of where you’re staying while you’re visiting the Twin Cities. If you’re looking for a place to stay that has easy access to all of your must-see spots, Richfield is the place for you. While visiting the city, your plans are to probably visit the State Fair, downtown Minneapolis, downtown St. Paul, and Mall of America. Finding a place to stay that has easy access to all of these spots might sound tough, but Richfield has got you covered. The biggest event of the season is definitely the Minnesota State Fair. With all the delicious food just waiting to be eaten, we understand why you would want to get there when the gates open. Luckily, the drive from Richfield to the State Fairgrounds is only 20 minutes, so you can take your nap after eating your way through the fair in no time. Or, grab the shuttle leaving from Richfield that makes the Fair extra easy to get to. If you plan on spending the day exploring downtown Minneapolis, going to a Twins or Lynx game, or spending the day museum-hopping, Minneapolis is just a short drive from your hotel in Richfield. Just hop on I-35W and you’ll be in the heart of downtown in just 15 minutes. After a day in the city, if your next stop is exploring the more than 500 stores located in the Mall of America, your transportation time from Richfield is quick and easy. The drive to Mall of America is less than five minutes. If you stayed in downtown Minneapolis, the travel time would be at least 30 minutes. Staying in Richfield during your stay in the Twin Cities can also save you money. The nightly room rates on average are $50 less a night at Richfield’s four hotels compared to similar downtown Minneapolis and St. Paul hotels. Plus, these hotels have a lot of amenities, such as free breakfasts, pools and shuttles that will save you money and add to your vacation fun. 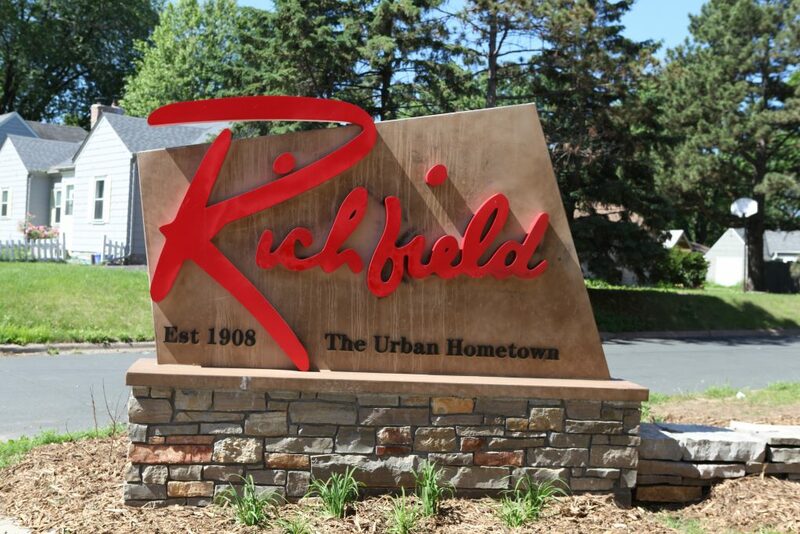 The City of Richfield and its residents are excited to show off their city to all of the guests coming into town on vacation. We know it’s the perfect place for your family to stay because of logistical reasons, but it’s also the best place to stay because it’s the best suburb in Minnesota (just ask City Pages).